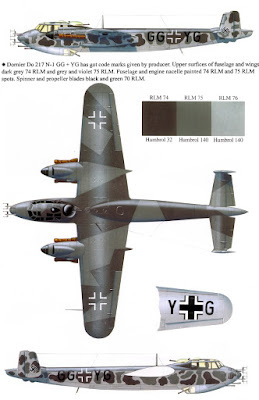 The Dornier Do217N, although too slow, at 515 km/h, to catch the British Mosquito, the Do 217N was a very good weapon against the large enemy night bombers, with its forward machinegun armament of four 20 mm MG 151/20 and four 7.9 mm MG 17, to which up to four MG 151/20 were added later, firing obliquely upward. 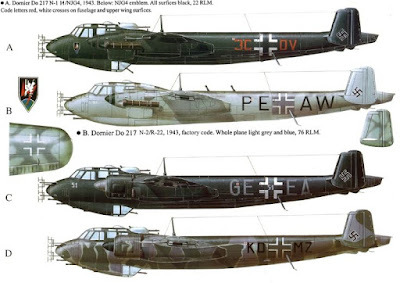 and they remained unchanged until the Do 217, but the all-up weight of the Do 215B grew from the original figure of approximately 7 tons to virtually 9 tons as a result of demands for increased range, better equipment and more powerful armament. Although the landing wing loading was still below 115 sq m, the aircraft's dimensions were enlarged slightly for the more heavily armed and better equipped Do 217. By now the weight had risen to more than 13 tons. There seemed to be little point in continuing development of this type of aircraft in view of the enemy's technical developments. 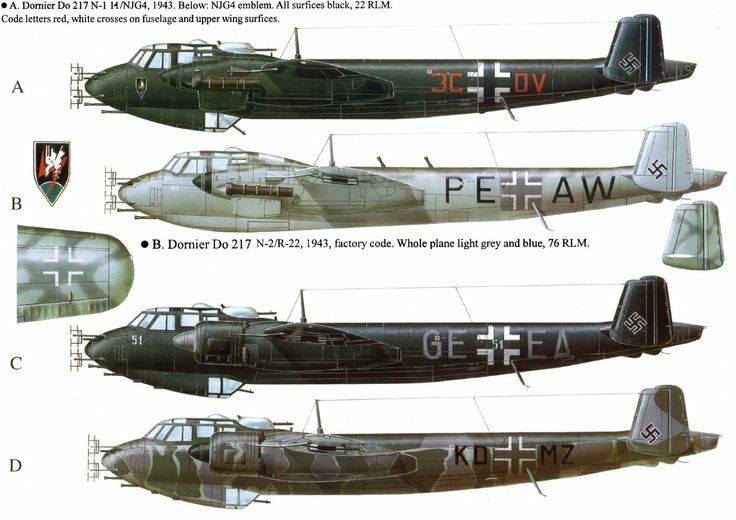 Thus the path was clear for a decisive move towards the Dornier Do 335.